Warming temperatures in the world's oceans will cause major changes for the fishing industry, according to a study published Sunday involving a University of British Columbia researcher. The study — a collaboration among economists, biologists and climate-change scientists co-authored by UBC's Rashid Sumaila and published in the journal Nature — says there are already signs some fish species are leaving their usual surroundings for cooler waters. While the scientists' perspectives may conflict, Sumaila told CBC News, they all agreed on one thing: "Climate change is only going to complicate our problems. There is overfishing. It's fundamental that we deal with that." The study he co-authored found some species are starting to leave tropical areas where signs of a warming ocean are most acute. Modelling shows temperate waters like those on Canada's coasts will experience an influx of those fish, while species currently here move farther north to the even colder waters of the Arctic. Canada's fishing industry will need to adapt, Sumaila said. "For example, if you think about sardines on the Pacific Coast here: Whenever the temperatures are a bit higher, we see more sardines moving from Mexico through the U.S. to Canada." That also means taking the pressure off native species by reducing overfishing, Sumaila said. On Friday, Newfoundland and Labrador and the federal government announced an $18-million program to buy back lobster licences to prevent a further decline in populations while protecting the industry. 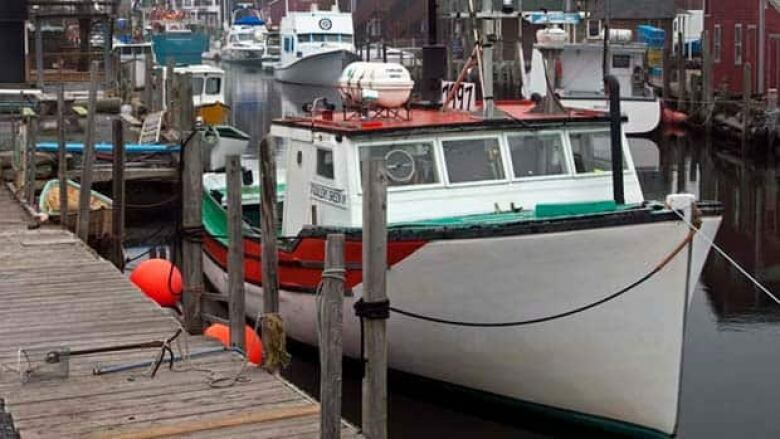 That's good news for Loomis Way, who fishes for lobster off Newfoundland. "We're hanging in there, and hopefully this will allow some people to make a decent living. So now this is an opportunity to say we'll get out of this and leave it for the people that want to stay in the industry." Sumaila called the move a positive step, but added that such buy-back and adjustment programs need to be designed with caution. "People get paid out," he said. "Then what they do — if they have two boats and one is bought out — usually what happens is actually you have enough capital to make the other boat more efficient than two boats." Sumaila and other scientists who worked on the project say their findings, both the good and the bad, show one thing is certain: Government and industry need to anticipate changes, not simply react to them.